Planning for your wedding can sometimes be the most stressful of periods. The fact that this labelled the biggest day of your life and you have to do the planning on top can threaten to take the gloss off of the day. Whether that is worrying about the bride’s appearance or the grooms suits, the invitiations or the flowers or whether anyone will turn up – it can become a little too much. But here are a few tips on how to get through that and making sure that you enjoy your big day as well as the build-up. This may be a slightly obvious tip but is still one that some may dismiss. Getting help can really make sure that you plan but still enjoy your perfect wedding. Sometimes it is thought that weddings should be arranged by the couple involved but getting help can really add something to the day. 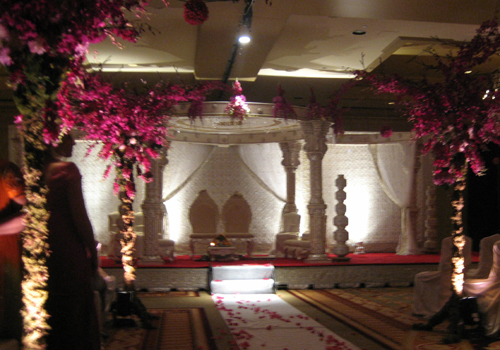 Help is readily available if you search for a wedding planning website online. Here you will find a whole manner of help for you whether that is to simply get you arranged with a to do list or actually help you with practical tasks such as sending out invitations. It can be very easy to simply focus on your one big day and neglect the everyday things that make you happy. Whether you decide not to go and see the girls for lunch because you don’t want to ruin your figure, or whether you decide to miss the boys’ night out to save money for that perfect wedding car, you want the build-up to be exciting and not a drag. Therefore set aside some budget to carry on with your day to day lives. A really good way to enjoy the wedding planning process is to do some of the smaller tasks with your family or friends. You could create the table decorations from scratch which will add a touch of personal pride and a unique edge to your wedding. Or you could get everyone involved to plan the perfect wedding playlist for the after party so you don’t have to rely on the same old cheesy classics. This also adds a personal edge to your big day.